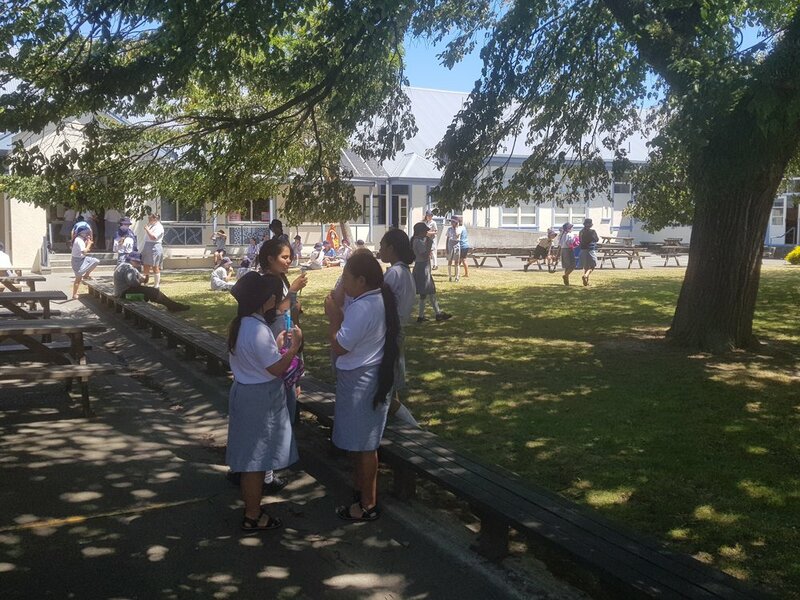 Welcome to the 2019 school year and what an amazing start is has been as we have welcomed 389 new students and their families to PNINS with a starting roll of 736 students. With such a large roll it has been very important that we connect with families and students as soon as possible. The Parent conferences on the first two days have been hugely beneficial as we held 395 conferences where teachers were able to begin building a strong relationship between home and school. We have received a staggering amount of positive feedback about the conferences and teachers have really benefited from hearing about the passions, hobbies and interests that students and their families have. We would like to congratulate all those families that attended and booked using the new online system, it was an effective use of coordinating these appointments. We will aim to use this online platform for future interviews this year. Newsletters at PNINS are sent out every two weeks usually on a Tuesday. The newsletter provides a vital communication link between the school and its community. It serves to inform you of school programmes, share and celebrate the success and achievement of students and staff, report on and highlight past and future school events, and provides an update from teams. Once again this year we will be placing the newsletter online through our website,Facebook page and school app. This will enable parents and community members to access it anytime and anywhere where there is internet connectivity. A paper copy will only be sent out to those families who request them and we ask that parents inform the school office to let them know. Social media - We have a very active school Facebook page that is updated regularly, providing up to date information regarding upcoming events and celebrating the wonderful achievements of our students, staff and their families. Please take the time to follow our page! In 2019, we have decided to attend a different camp venue than in previous years. All students will be travelling to Tui Ridge which is based just outside of Rotorua. We have made the decision to change due to a number of reasons with a a major focus on students experiencing a wider range of activities. These include: in-camp activities such as abseiling, giant swing, high swing, air rifles, flying fox, BMX, indoor rock climbing and bubble soccer; all of which will be taken by fully qualified instructors. Another feature of the camp will be the ability to have one full day attending activities within the Rotorua region, allowing greater scope to attend cultural experiences. Plus students are able to attend an activity while travelling to Camp on the Monday. Hence, we feel students will experience a wider variety of learning activities over the week. Please reference your child’s name and the word: Camp. More information about camp will be sent out closer to your child’s camp through the school wide and team newsletters. Sign up for Performing Arts is currently open through our website. During the course of this term we will be running auditions for each of the six performing arts groups at PNINS. These groups are: Kapa Haka, Pasifika, Choir, Drama, Dance and Orchestra. While all students at PNINS are eligible to audition for these groups if they desire, we would like to take this opportunity to point out that not everyone will necessarily be accepted into these groups as places are limited due to size of available rehearsal venues as well as number restrictions placed on our Taradale School Performing Arts Exchange and Super Arts events. There will however, be additional opportunities in some of the disciplines presented throughout the year, such as auditions for places in the school rock band which is a lunchtime based activity and this year's school production. I am looking forward to working with a large number of our students in the Performing Arts at PNINS throughout 2019. - Barry Jones. Mrs Paola Hapeta and Mr Te Ihinga Mar who will be supporting students across the school. For a number of years we have called our specialist teachers the NGA TOHUNGA team which has involved Hard Materials, Music, Art, Drama, Science and Food Technology. Through community feedback and consultation with Dr Darryn Joseph, Senior Maori Language lecturer at Massey University and BOT chairperson, we have decided to change this name from NGA TOHUNGA to NGA MATANGA. This is because culturally Maori would use the word ‘Tohunga’ when referring to spiritual qualities. Therefore, we have decided to use the term ‘Matanga’ which specifically relates to a specialist in a given field. A voluntary family donation of $85.00 per child and in addition an Activity Fee of $135.00. In total $220 per child is requested. The Activity Fee pays for the materials children use in specialist technology rooms, IT consumables and resources, and the range of extra-curricular learning and cultural programmes that this school provides its students. Although the donation is voluntary we do urge you to pay. The Ministry grant is simply not enough to cover the funding of all that we offer at this school. As in the past, all students have been given a pack that includes all school stationery requirements your child will need. The cost per pack is $30 and includes the Student Log Book, Clearfiles, portfolio, clearfiles.etc. This year, the Board of Trustees has decided that for parents/caregivers who pay the School Donation and Activity Fee by the end of Term 1, the stationery pack valued at $30 will be free. For 2019 the school’s daily times will be the same as last year, to maximise morning teaching/learning times. However, we have extended lunch to an hour in order to provide greater opportunities for students to participate in lunchtime activities. Therefore, lunch will run from 1 - 2pm. Note: The PNINS school day starts at 8.45am not at 9.00am like a number of primary schools. It is an expectation that all PNINS students are at school by 8.30am to allow time to unpack their bags and ready themselves for learning at 8.45am. If your child is late they must report to the school office with a note from their parent stating the reason for lateness. Students are not permitted to bring cell phones to school. Our school office phone is available up to 4.00pm for any urgent calls. If it is necessary on the odd occasion for your child to bring a cell phone to school then we require you to fill in our Cell phone form. The phone and letter is to be handed into the office on your child’s arrival at school in the morning. The cell phone can be collected from the office at the end of the school day, at 3.10pm. Any student found with a cell phone in their possession during school hours will be required to take it to the school office for their parents to collect. For Specialist Technology Programmes, children are to wear black lace up leather shoes (Note: these are not T-bar shoes, or canvas shoes with school socks). This is due to Health & Safety requirements. Wearing sports shoes/ black slipper shoes are not acceptable. After an absence all children must bring a note to their classroom teacher on their return to school (please write this in your child’s logbook, or email it through to the teacher). We ask that you either give us advance warning or phone the school by 9.15am on the day of any absence. To avoid the possibility of a missing child - when you think they’re safe at school - while we assume that they must be with you - we phone home to check on any unexplained absence. Please ring us before we need to ring you to clarify why your child is absent. For 2019 the following dress code is required in our school pool. All swimwear must be made of swimwear material. Modest one or two piece swimwear. If wearing a two piece – no bikini (bra top) but instead a crop top can be worn. Swim shorts may be worn but should not reach below the knee. Swim shorts must have an inner lining, and should not reach below the knee. No underpants or boxers are to be worn underneath swimming shorts. This term we will begin lunchtime swims for students in order to help deal with the current hot temperatures. The pool will be available at the following time 1.15 - 1.50 every day. The streets surrounding the school are extremely busy during peak traffic times. Considerable thought has been put into Palmerston North Intermediate School’s guidelines into arriving and departing from school safely. Please study and discuss these maps with your child and select the most suitable route. Because of the danger of Ferguson Street, students should only cross Ferguson Street at a controlled crossing ie. Pitt Street or Fitzherbert Avenue (lights). Cyclists may not use the Linton Street entrance. A lockup compound is available for bikes; however, all cyclists are advised to lock their bike within the compound. No vest, no helmet = no biking to school. All the best for a safe cycling year. We encourage all students to walk or cycle to school where practicable. Cyclists coming down Pitt Street need to dismount at the Pitt Street / Church Street lights, WALK across the crossing then continue to walk all the way down Pitt Street to South Street. Walk along the footpath around the corner to use the South Street pedestrian crossing to come into the school. Boys – Hair to be off the face and cut so it is off the shirt collar, and out of the eyes. Girls – Hair to be off the face and, if long, to be tied back. Sunhats are compulsory and part of our school uniform from Labour Weekend through to Easter. It is an expectation that all children wear the correct sunhat at interval, lunchtime and when outside participating in sports sessions. The white or blue school sun hat with a brim provides the best protection, although, plain blue or white bucket hats are permitted. This year we have sports caps available from the office that may be used. Caps are to be worn during sports events and activities during lunchtime. However, the wide brim bucket hat is used otherwise. Class photos are on 14th and 15th of February. Envelopes will go home with your child to be returned to the school office before their photograph. Brendan Lodge will take orders up until Tuesday, 12th February 2019. Sport - Summer Sport sign up closes this Thursday! Sign up for sport is available through our website on the sports page. Winter Sport, Try a Sport and Sport trips close in week 4. For more information and to join a sport please click below or contact the PNINS Sports Office. PNINS will be attending the Weet-bix Tri on Tuesday 19 March. To enter please click on the link below. Remember to tick PNINS as the school you are representing. We run selection trials for each of these teams in school lunch times. Details of trials are given out to students in daily notices. If you have any questions about these please contact the sports office.